The operational amplifier ("op amp") is the most versatile and widely used type of analog IC, used in audio and voltage amplifiers, signal conditioners, signal converters, oscillators, and analog computing systems. Almost every electronic device uses at least one op amp. This book is Texas Instruments' complete professional-level tutorial and reference to operational amplifier theory and applications. 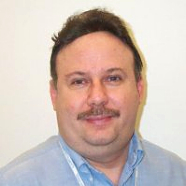 Among the topics covered are basic op amp physics (including reviews of current and voltage division, Thevenin's theorem, and transistor models), idealized op amp operation and configuration, feedback theory and methods, single and dual supply operation, understanding op amp parameters, minimizing noise in op amp circuits, and practical applications such as instrumentation amplifiers, signal conditioning, oscillators, active filters, load and level conversions, and analog computing. There is also extensive coverage of circuit construction techniques, including circuit board design, grounding, input and output isolation, using decoupling capacitors, and frequency characteristics of passive components. The material in this book is applicable to all op amp ICs from all manufacturers, not just TI. Unlike textbook treatments of op amp theory that tend to focus on idealized op amp models and configuration, this title uses idealized models only when necessary to explain op amp theory. 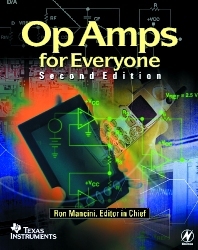 The bulk of this book is on real-world op amps and their applications; considerations such as thermal effects, circuit noise, circuit buffering, selection of appropriate op amps for a given application, and unexpected effects in passive components are all discussed in detail. Published in conjunction with Texas Instruments A single volume, professional-level guide to op amp theory and applications *Covers circuit board layout techniques for manufacturing op amp circuits. Engineers in analog circuit design and applications engineering; engineering students.